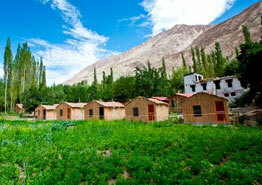 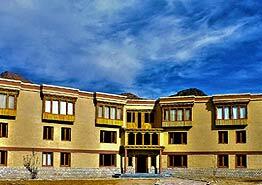 Located on the Leh-Srinagar highway, around 70 kilometers from Leh, in the heart of Ladakh’s Sham region, the Ule Ethnic Resort is nestled amidst 10,000 acres of land area. 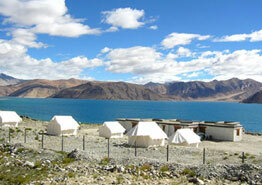 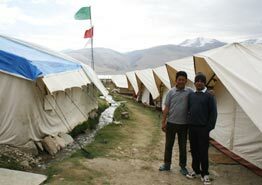 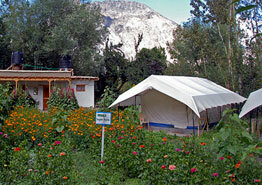 It is one of the most relaxed and secluded place where you can holiday amidst grass and Himalayan mountains. 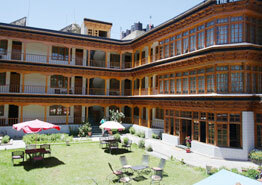 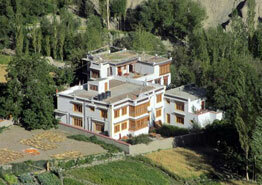 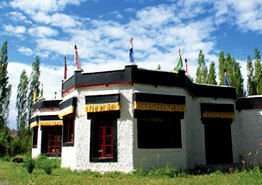 The resort offers proximity to various prominent monasteries in this region. 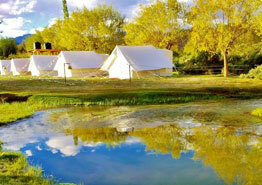 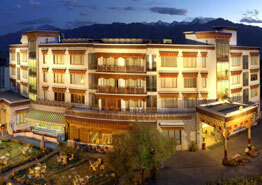 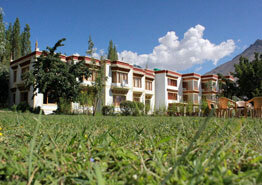 The area abounds with apple and apricot groves which renders a relaxed ambience to this resort. 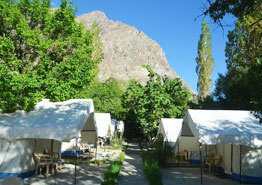 Accommodation in this resort is offered in terms of 32 single and double bedded tents equipped with all modern conveniences and have a tranquil riverside location. 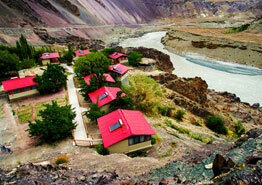 Here, you’ll get to see oasis in the Desert mountains. 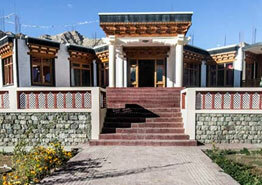 There is a riverside restaurant in ‘The Ule Ethnic Resort’ where guests can relish an array of Indian, Chinese, Continental and Ladakhi food.